After more than 7 months of negotiations, Esquerra Republicana de Catalunya (ERC) and Convergència Democràtica de Catalunya (CDC) have achieved an agreement to stand together for the “plebiscitarian” elections of the 27th September with the support of the two main civil society organisations, the Catalan National Assembly (ANC) and Òmnium. The list will be led by the ex-ICV MEP Raul Romeva, followed by the ex-ANC spokeswoman Carme Forcadell, and the ex-Òmnium president Muriel Casals. Artur Mas and Oriol Junqueras will be in the 4th and 5th place, and Pep Gardiola, former FC. Barcelona coach will close the list. 1. After the elections, the Catalan Parliament will approve a declaration that will launch the independence process. 2. A Catalan Constitution will be draft. The citizenship will be the protagonist of this step, jointly with the Catalan institutions. 3. The independence will be proclaimed. 5. In less than 18 months after the 27S elections, constituent elections will be held. 6. The new constitution will be voted in a referendum. Obviously the road that they would have to face is not simple, and the independentist movement will have to overcome a lot of obstacles and uncertainties: Firstly the pro-independence list will have to won the elections, and get, together with the far-left independence list lead by CUP, the absolute majority of the MP’s. These are going to be hard elections, as the newcomer Spanish party Podemos is going to lead a coalition of the pro-Spain left in Catalonia, together with ICV-EUiA (the Catalan Greens). Secondly, the Spanish state will continue with its foul play and fear statements, trying to dynamite our democratic movement. Last but not least, we will have to pay attention to the position of the EU institutions, which will play a key role on all that process. We expect the EU to force a negotiation with the Catalan and the Spanish government in order to conduct an agreed divorce, and to welcome Catalonia as a new member state. The key subject during the 27S plebiscitarian elections campaign will be the social issues. Since 2011 the main answer to the crisis has come from an independentist position: with the independence and the money from the “fiscal plunder” back, Catalonia would be able to build one of the most advanced welfare systems in Europe. But since last European, a new Spanish “left” party has aroused: Podemos. This political organisation of Castillan and Madrilenian roots, wants to create a new constituent process in Spain, focusing in changing the political elites rather than changing the whole system. They believe that the main problem of Catalonia is the liberal government rather than the Spanish exploitation. That is to say that the main battlefield for the independentism will be to convince the voters that Catalonia can’t have the welfare state that deserves unless it achieves the independence. We can’t have social justice without the national liberation. This 11 of September, the independentist movement is preparing a new demonstration in the Meridiana, one of the biggest streets of Barcelona which passes through the biggest working class neighbourhoods of the capital. 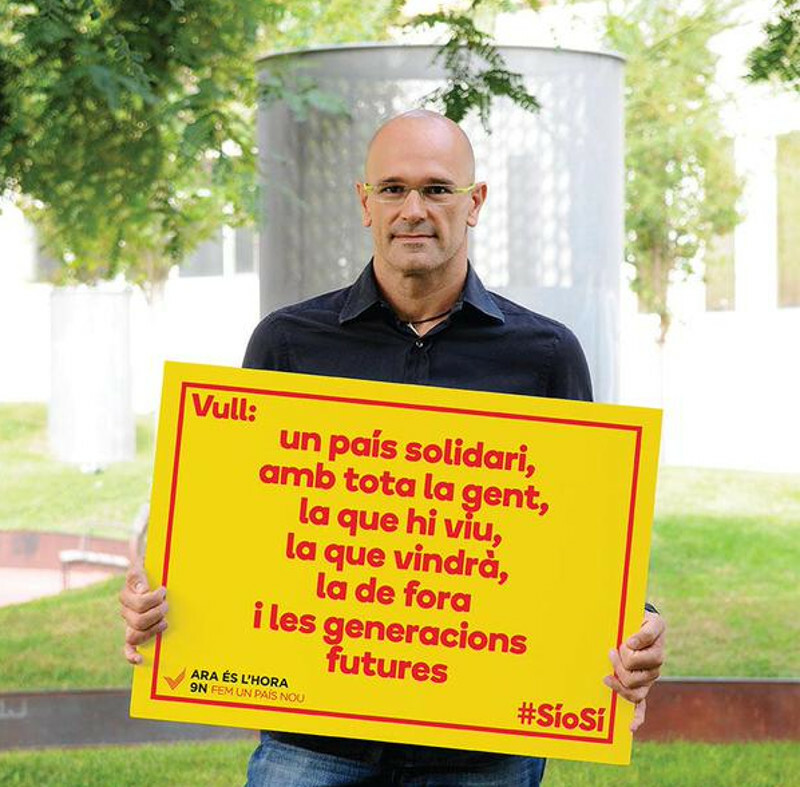 The challenge is to polarize the elections campaign between independentism and unionism and leave “offside” those who defend an unrealistic Spanish federation. Despite that for many of us is not the best scenario, we hope the unitarian pro-independence list will seduce the “rupturist” and the leftist vote that could be cached by the unionist leftist organisations. We also hope that the independentist movement will receive a lot of support from the working class, the unemployed, and the Spanish-speakers living the metropolitan area of Barcelona. Independentism will have to make the effort to fill out the independence discourse with social content. This is the sole way to win.